Mich Desormeaux is based in Oakville, ON and joined the OnSite team as a franchise partner in November 2012. 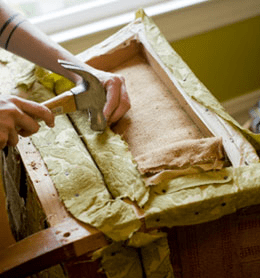 Mich provides service to a wide region, offering furniture repair throughout the GTA. Every furniture store deals with the hassle of damaged furniture: freight damage, delivery issues, warehouse mishaps, showroom damage… We can assist you by repairing & restoring your products and getting them out the door to a customer’s home! OnSite Restorations provides invisible repairs in the showroom, at the warehouse or at a customer’s residence.